†When 4 TruPURE slimsticks are taken in a day in conjunction with the TruHealth System recommendations. Amylase is an enzyme produced by the salivary glands and the pancreas that can break down starch, glycogen and related polysaccharides into simple sugars 1. Amylase derived from widely utilized fungi and bacteria, such as Aspergillus niger and Bacillus subtilis, is approved for use as a food enzyme by the U.S. Food and Drug Administration (FDA) 2. Arabinogalactans are a class of long, densely branched high-molecular weight polysaccharides extracted for commercial uses from the bark of the Eastern and Western Larch trees, Larix larcinia and Larix occidentalis.Their monosaccharide constituents include galactose, arabinose, glucose and mannose 1. Larch arabinogalactans are considered a good source of prebiotic soluble dietary fiber 2,3. Small amounts of arabinogalactans can be found in some food plants, including corn, carrots, tomatoes, pears, wheat and red wine 4. Rubus coreanus (also called Korean black raspberry and Japanese Briar Rose) is a species of raspberry native to Korea, Japan and China. It produces edible fruits that can be fermented into bokbunja ju, a Korean fruit wine. A source of vitamin C, plant sterols and flavonoids, the fruits have been used traditionally for a variety of purposes, including as a diuretic 1. In a study evaluating the in vitro pro- and anti-oxidant activities of 70 herbs used in Korean traditional medicine, R. coreanus ranked at the top of the antioxidant herbs2. In animal studies, R. coreanus extracts have demonstrated liver-protective 3,4, antioxidant5 and anti-inflammatory6 benefits. R. coreanus also improved body composition in animals5,7,8 and protected against fatigue 9 . In an open-label 4-week trial, 30 g/day intake of freeze-dried R. coreanus by 15 healthy men provided antioxidant benefits 10. Cellulase is an enzyme produced by fungi, bacteria and other microscopic organisms. Production of cellulase by intestinal bacteria helps with the digestion of plant cellulose and other beta-glucans, which are indigestible by human enzymes 1. 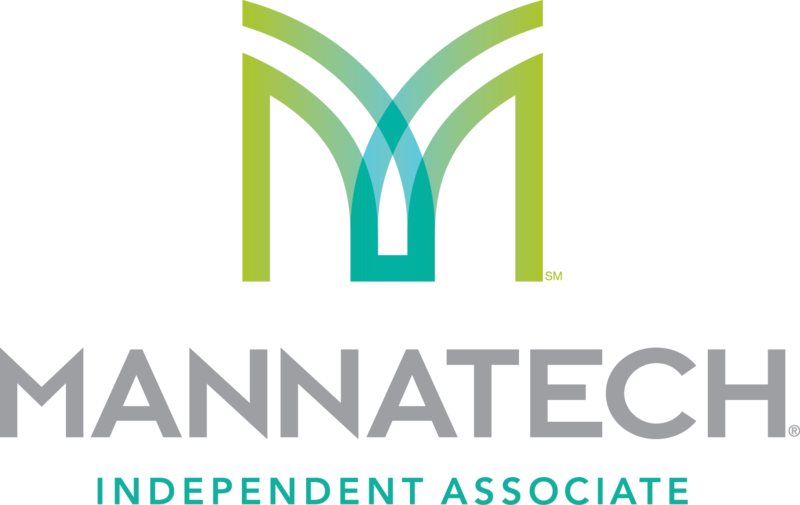 Cellulase derived from widely utilized fungi, such as Aspergillus niger and Trichoderma longibrachiatum, is approved for use as a food enzyme by the U.S. Food and Drug Administration (FDA) 2. Chlorella species are unicellular microalga that are rich in vitamins, minerals and amino acids. Chlorella supplements have been popular in Asia, particularly Japan, since the 1950s. Chlorella sp. have also been of great interest to aquatic engineers because of their ability to concentrate and thus remove toxins, including heavy metals, from water1. It is estimated that more than 10 million people worldwide take chlorella supplements2. Animal studies indicate that intake of large amounts of Chlorella regularis can positively impact blood lipids3,4. In a small double-blind, placebo-controlled trial of adults with mildly elevated blood cholesterol levels, intake of 5 g/day Chlorella for 4 weeks significantly improved total cholesterol, triglycerides and other blood lipids 5. Choline is a nutrient related to the water-soluble B-complex vitamins that is necessary for the structure and function of all cells. It is important for the structural integrity of cell membranes and proper functioning of the brain, as well as required for a number of metabolic reactions that take place in the body. Humans can synthesize choline themselves, or they can consume choline through the diet. It can be found in high amounts in foods such as egg yolk, peanuts, fish, milk and a variety of meats and vegetables. Dietary choline is absorbed from the small intestine and travels through the bloodstream to all organs and tissues of the body. No adverse effects have been seen with choline intakes at the amounts present in our products 1. Choline bitartrate is a salt of the nutrient choline. It is commonly used as a source of choline in dietary supplements 2. Choline bitartrate is considered generally recognized as safe (GRAS) for human consumption by the U.S. Food and Drug Administration (FDA) (21CFR182.8250) 3. Cucumbers are the fruit of the Cucumis sativus herbaceous plant. Cucumbers are a very good source of vitamin C, vitamin K and potassium, and a good source of vitamin A, pantothenic acid, magnesium, phosphorus and manganese. A half-cup of unpeeled fresh cucumber is just 8 calories and provides 2% of the Daily Value (DV) of vitamin C (nutritiondata.com). The percent DV on a Nutrition Facts label indicates how much a nutrient contributes to a healthy adult’s daily recommended intake based on a 2,000-calorie diet. Cucumbers have been used traditionally to support healthy gastrointestinal and respiratory function1. They are a popular vegetable crop and have been used in Indian traditional medicine since ancient times for numerous purposes, including cleansing1,2. Fructo-oligosaccharides (FOS) typically refer to short-chain oligosaccharides comprised of fructose and glucose monosaccharide units. They exist naturally in plants and are commonly consumed in foods such as onions, bananas, lettuce and wheat. FOS are used in dietary supplements and functional foods as a type of prebiotic, a non-digestible carbohydrate that promotes the growth and/or activity of beneficial bacterial in the colon 1. The U.S. Food and Drug Administration (FDA) has been notified that industry considers FOS to be generally recognized as safe (GRAS) for its intended use and has not objected to its use for this purpose (GRN No. 000044). Glutathione (GSH), a tripeptide composed of three amino acids (cysteine, glutamic acid and glycine), is an essential thiol antioxidant produced in all cells. GSH plays a key role in protecting against oxidative stress by neutralizing free radicals and reactive oxygen species (ROS). As people age, cellular levels of GSH decline1. Green peppers are a cultivar group of the species Capsicum annum. These cultivars produce fruits in various colors, including red, yellow, orange, green, brown, white and purple. Green peppers are a very good source of vitamin K, vitamin B6, potassium and manganese and a good source of thiamin, niacin, folate, magnesium and copper. A cup of chopped fresh green pepper is just 30 calories and provides 200% of the Daily Value (DV) for vitamin C, 11% DV vitamin A, and 10% DV dietary fiber. (nutritiondata.com). The percent DV on a Nutrition Facts label indicates how much a nutrient contributes to a healthy adult’s daily recommended intake based on a 2,000-calorie diet. Inositol is an organic compound closely related to glucose. Inositol can be found in foods such as bran, nuts, beans and fruit 1. Human breast milk is also a rich source of inositol. Inositol can be synthesized in the body to become essential components of cell membrane phospholipids 2. It is approved for use as a food additive by the U.S. Food and Drug Administration (FDA) 3. Hovenia dulcis, commonly known as Japanese raisin tree, has a long history as a food supplement and traditional medicine in Japan, China and Korea. In preliminary research, extracts from H. dulcis have been shown to possess hepatoprotective properties1. Lactase is an enzyme that breaks down lactose, a disaccharide found in milk, into the monosaccharides glucose and galactose. In humans, lactase is located on the membranes of epithelial cells lining the small intestine. Lactose intolerance is caused by the absence or deficiency of this enzyme in the intestinal system 1. Lactase derived from certain strains of yeast is approved for use as a food enzyme by the U.S. Food and Drug Administration (FDA) 2. Lemon fruit extract is derived from the fruit of the Citrus limon tree. Lemons are a very good source of vitamin C and a good source of folate and potassium. One lemon is just 12 calories and provides 37% of the Daily Value (DV) of vitamin C (nutritiondata.com). The percent DV on a Nutrition Facts label indicates how much a nutrient contributes to a healthy adult’s daily recommended intake based on a 2,000-calorie diet. Lemons, which are also rich in phytochemicals with antioxidant properties1 , have been used traditionally to enhance energy, improve digestion and protect arteries1,2 . Lipase is an enzyme that digests fat-soluble molecules called lipids. It is found in many plants, milk, dairy products, bacteria, molds and animal tissues. In the human digestive system, lipase is made by the pancreas and secreted into the intestines to help break down dietary fats 1. Lipase derived from animal tissue and certain nontoxic and nonpathogenic fungi is approved for use as a food enzyme by the U.S. Food and Drug Administration (FDA) 2. There are two sulfur-containing amino acids: cysteine and methionine. Methionine is essential, meaning it must be obtained through the diet. Animal proteins are considered better sources of methionine and cysteine than plant proteins. For healthy adults, numerous organizations recommend 13 mg/kg daily intake of sulfur amino acids, which is equivalent to 884 mg for a 150 pound healthy adult1. Milk thistle (Silybum marianum) seed extract, also known as Lady’s Thistle and St. Mary’s Thistle, has been used by herbalists for thousands of years, particularly because of its ability to function as an hepatoprotective (i.e., liver protective) agent. Constituents of particular interest are the complex mixture of multiple flavanolignans derived from the fruit that are known collectively as silymarin (silybin A and B, silychristin, silydianin, isosilybin and 2,3-dehydro derivatives). The terms “milk thistle” and “silymarin” are often used interchangeably. The fruit of milk thistle also contains flavonoids, lipids, sterols, sugars, amines and saponins 1. Traditional uses of milk thistle for protection of the liver have triggered clinical studies attempting to validate the hepatoprotective benefits of a variety of milk thistle extract preparations for individuals with health conditions. Some 2,3,4,5,6,7,8 but not all 9,10,11,12 studies have shown that oral intake of milk thistle extracts can benefit the liver. When used appropriately, milk thistle extracts have been safe when used for as long as six years. Daily intake of silymarin has ranged from 140-2,100 mg/day 3,9. When reported, most noted adverse reactions have been mild 2,6,8,10,11,12. The complex flavors of the lemon (Citrus limon) fruit are derived from a natural combination of multiple volatile compounds (i.e., esters, terpenes, terpenols, aldehydes, ketones, alcohols and acids) that are part of a well-balanced system that also includes sugars and phenolic compounds1. Orange fruit extract is from sweet oranges, the fruit of the Citrus sinensis tree. Oranges are a very good source of vitamin C and a good source of dietary fiber and folate. One orange is 69 calories and provides 138% of the Daily Value (DV) of vitamin C and 12% of the DV of fiber (nutritiondata.com). The percent DV on a Nutrition Facts label indicates how much a nutrient contributes to a healthy adult’s daily recommended intake based on a 2,000-calorie diet. Oranges, which are also rich in phytochemicals with potent antioxidant properties 1, have been used traditionally to support healthy gastrointestinal and respiratory function2. Parsley is a highly nutritious plant. It is a very good source of dietary fiber, vitamin A, vitamin C, vitamin K, folate, calcium, iron, magnesium, potassium, copper and manganese, and a good source of protein, vitamin E, thiamin, riboflavin, niacin, vitamin B6, pantothenic acid, phosphorus and zinc. A cup of fresh parsley is just 22 calories and provides 101% of the Daily Value (DV) of vitamin A, 133% DV vitamin C and 21% DV iron (nutritiondata.com). The percent DV on a Nutrition Facts label indicates how much a nutrient contributes to a healthy adult’s daily recommended intake based on a 2,000-calorie diet. Parsley leaves have been used traditionally for a wide variety of purposes, including for gastrointestinal, kidney and respiratory health benefits1 . The passion flower plant (Passiflora incarnata L.) is a woody perennial vine that produces a dramatic flower, so named because of its perceived resemblance to Jesus’ crown of thorns. Native to North America and now cultivated throughout the world, the plant has a long history of traditional use, particularly as a calming agent1. Proteases are protein-digesting enzymes. While they occur naturally in all organisms, proteases in supplements are typically obtained from safe, non-pathogenic fungi. Orally administered protein-digesting enzymes can be detected in human blood, at least to some extent, in their intact, biologically active form 1. Pumpkins are the fruit of the herbaceous plant, Cucurbita pepo. Pumpkin is a very good source of dietary fiber, vitamin A, vitamin C, riboflavin, potassium, copper and manganese, and a good source of vitamin E, thiamin, niacin, vitamin B6, folate, iron, magnesium and phosphorus. A cup of boiled pumpkin is just 49 calories and provides 245% of the Daily Value (DV) for vitamin A, 19% DV vitamin C, and 11% DV dietary fiber (nutritondata.com). The percent DV on a Nutrition Facts label indicates how much a nutrient contributes to a healthy adult’s daily recommended intake based on a 2,000-calorie diet. Pumpkin has been used traditionally to benefit the prostate gland, the kidney and the bladder1. Red pepper is a cultivar group of the species Capsicum annum. Cultivars produce fruits in various colors, including red, yellow, orange, green, brown, white and purple. Red peppers are a very good source of vitamin E, vitamin B6 and folate and a good source of vitamin K, thiamin, riboflavin, niacin, potassium and manganese. A cup of chopped fresh red pepper is just 46 calories and provides 317% of the Daily Value (DV) of vitamin C, 93% DV vitamin A, and 13% DV dietary fiber (nutritiondata.com). The percent DV on a Nutrition Facts label indicates how much a nutrient contributes to a healthy adult’s daily recommended intake based on a 2,000-calorie diet. Spirulina algae refers to a large number of blue-green algae species that have been harvested from warm lakes in Africa, Central and South America for thousands of years. Spirulina has been used since the 16thcentury as a source of food and nutrients. Today, it is a popular food supplement in Japan and is marketed as a dietary supplement in the U.S. Spirulina contains large amounts of dietary protein, B-complex vitamins, beta-carotene, vitamin E and numerous minerals, such as calcium and iron. It also contains high molecular weight polysaccharides and the antioxidant phycocyanin, which may be responsible for a number of its beneficial effects on human health 1. Stevia extract is derived from the leaves of the plant, Stevia rebaudiana. Stevia extracts are used as natural sweeteners and as dietary supplements in a number of countries, including the United States 1. Much of the sweetness of stevia leaves is attributed to the presence of glycosides, including rebaudioside A, which is about 300 times sweeter than sucrose (sugar). Stevia also contains tannins and phytosterols, such as beta-sitosterol and stigmasterol 2. The “root” or rhizome (underground stem) of turmeric (Curcuma longa) has long been used in traditional Asian and Ayurvedic medicines for a variety of purposes, but most frequently to ameliorate inflammation1. Bright orange-yellow turmeric powder is rich in antioxidant polyphenols, most notably curcumin, along with volatile oils, sugars, proteins and resins 2,3,4. Curcumin, which accounts for the distinctive color of curry dishes, has been subjected to extensive scientific research, and research is ongoing. In a population-based study of almost 2,500 Chinese older adults, regular intake of curries was associated with improved lung function5. Curcumin has demonstrated anti-inflammatory activity in animal studies1 ,6,7,8. Currently, the U.S. National Institutes of Health (NIH) has registered 71 clinical trials to study the impact of dietary curcumin on health parameters in healthy subjects and those with a variety of health challenges. In a recent six-day randomized controlled trial of 28 healthy young adults, intake of 400 mg/day of a lipid/curcumin supplement significantly improved blood parameters associated with exercise-induced muscle damage (EIMD). The product significantly reduced biomarkers of inflammation (TNF-alpha, IL-8) and muscle damage (creatine kinase) following EIMD, but had no effect on delayed onset muscle soreness (DOMS)9. The disposition of curcumin in the human body following oral ingestion is not well understood. Animal studies indicate it is poorly absorbed, but absorption appears to be improved when taken with foods. Curcumin supplements have also been formulated with lipids or bromelain to enhance its absorption 3,9. The curcumin content of many curry powders and turmeric powders can be quite low. The typical curry dish can contain as little as 50 milligrams (mg) curcumin, less than amounts suggested for positive benefits for humans 10. Turmeric appears to be safe when used orally or topically by healthy individuals. It may cause gastric irritation when consumed in large amounts, and is not recommended for patients with peptic ulcer disease or gastric hyperacidity disorders, bile duct obstruction or gallstones. Patients taking immunosuppressive drugs should consult with their healthcare provider before taking turmeric supplements. Turmeric should be avoided by individuals who are allergic to yellow food colorings 11. Water Dropwort, Oenanthe javanic, also commonly known as Chinese celery or Japanese parsley, is grown in several countries of eastern Asia, as well as in Italy and India, where in the Spring it is a popular vegetable. Water dropwort contains small amounts of macronutrients and minerals, and appreciable amounts of the carotenoid lutein1. Test tube and animal studies suggest that extracts of water dropwort can provide protection to the liver2,3. Erythritol is a sugar alcohol found naturally in pears, melons and certain other fruits, as well as mushrooms and fermented foods. Erythritol is almost completely absorbed in the small intestine and excreted unchanged in the urine; therefore, its caloric content is lower than that of the other sugar alcohols (0.2 calories/g)(1). Erythritol has been designated Generally Recognized as Safe (GRAS) by the U.S. Food and Drug Administration (FDA). Natural lemon flavor is oil extracted from the flavoring constituents of lemons, primarily the peels. Its significant function in food is flavoring rather than nutritional (21CFR501.22). The rich, complex flavors of the sweet orange (Citrus sinensis) fruit are derived from a natural combination of multiple volatile compounds (i.e., esters, terpenes, terpenols, aldehydes, ketones, alcohols and acids) that are part of a well-balanced system that also includes sugars, acids and phenolic compounds1. 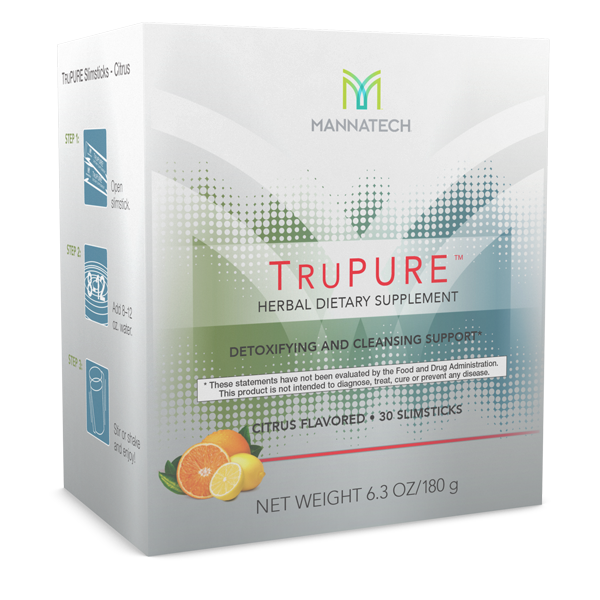 Mannatech TruPure is formulated with natural ingredients to help support your body’s ability to cleanse or diminish toxins that can cause oxidative stress.